BA/H200-R Delta Style room 2% humidity only or combination temperature and humidity sensor with optional display. 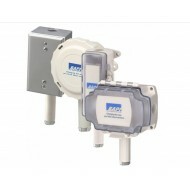 BA/10K-2-H200-O-WP Outside Air 2% humidity sensor or combination temperature and humidity sensor with a variety of enclosure styles and temperature sensing elements. BA/10K-2-H200-O-EU Outside Air 2% humidity sensor or combination temperature and humidity sensor with a variety of enclosure styles and temperature sensing elements. BA/10K-2-H200-D-BB Duct 2% humidity sensor or combination temperature and humidity sensor with a variety of enclosure styles and temperature sensing elements. BA/10K-2-H200-D-WP Duct 2% humidity sensor or combination temperature and humidity sensor with a variety of enclosure styles and temperature sensing elements. 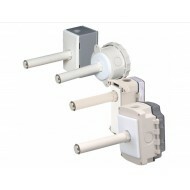 BA/10K-2-H200-D-EU Duct 2% humidity sensor or combination temperature and humidity sensor with a variety of enclosure styles and temperature sensing elements. BA/10K-2-H200-RD Delta Style room 2% humidity only or combination temperature and humidity sensor with optional display. BA/10K-2-H200-R Delta Style room 2% humidity only or combination temperature and humidity sensor with optional display. 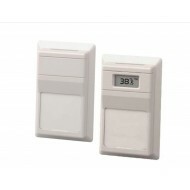 BA/H200-O-BB Outside Air 2% humidity sensor or combination temperature and humidity sensor with a variety of enclosure styles and temperature sensing elements.